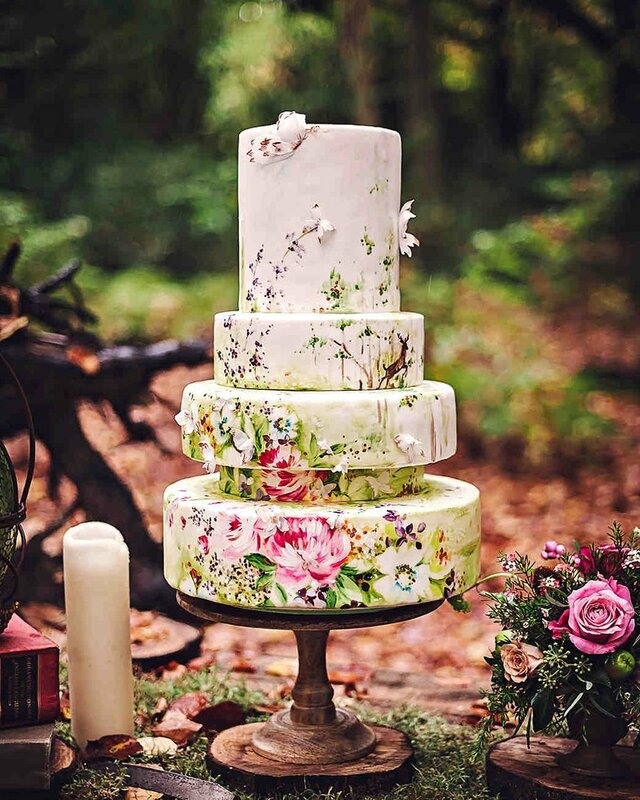 20 hand-painted wedding cakes to suit every wedding theme. It’s going to be on display all day, so why not make your wedding cake a centrepiece in its own right? 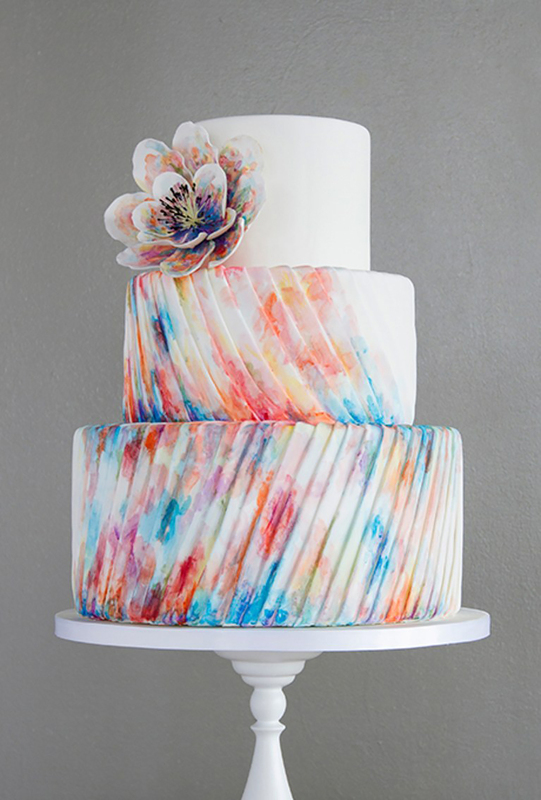 Take inspiration from these stunning painted wedding cakes to take your guests' breath away. Opt for muted pastel tones and team painted decoration with sugar flowers for a wonderfully vintage twist. 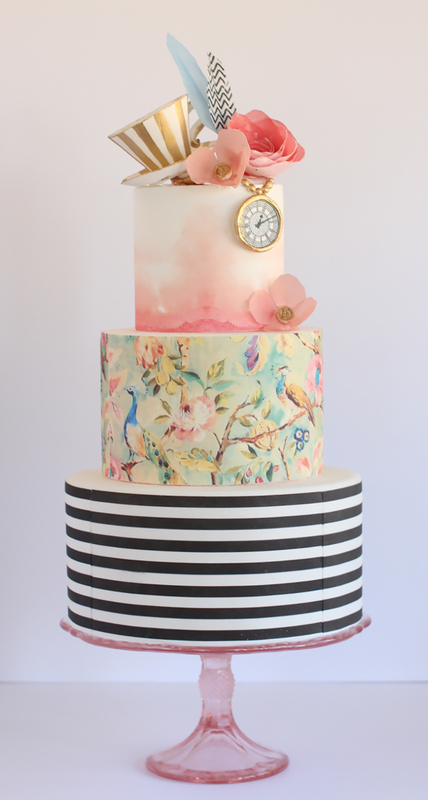 Tie your cake in with your theme through the painted design. The love birds here could become themes for your table names and even feature on your invitations. If you adore dainty details, choose a painted icing background to showcase the exquisite finishing touches on your cake. 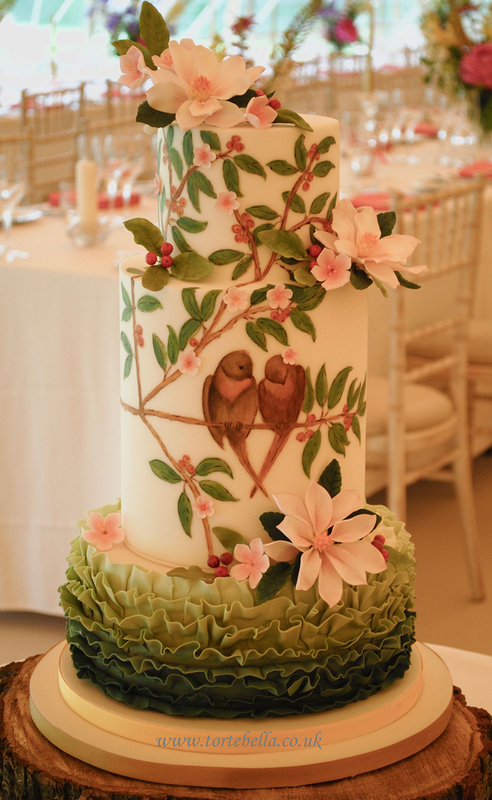 Another beautifully vintage design, detailed flowers will instantly add romance to hand-painted wedding cakes. Remember that it's not only images a cake decorator can add to your painted wedding cakes. Sentimental phrases are also a lovely touch. 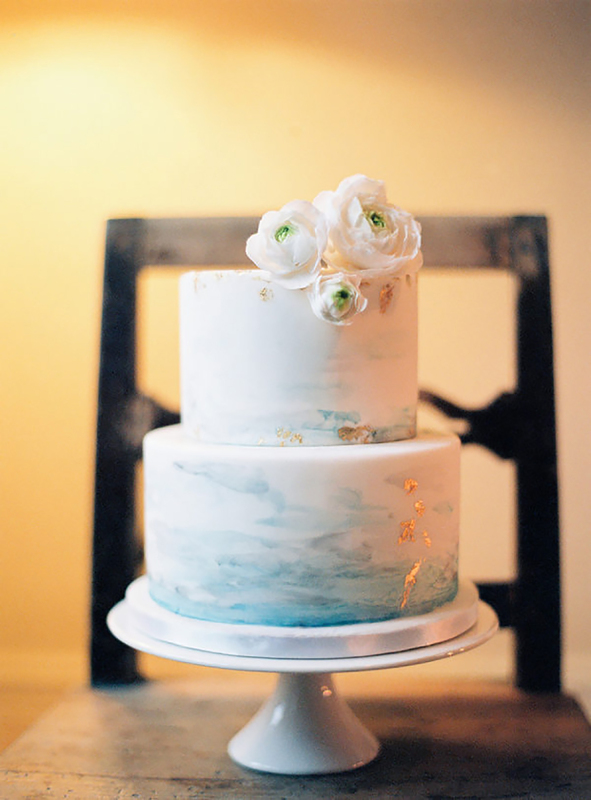 Duck egg blue, dove grey and glimmers of gold... this wedding cake is almost too pretty to eat! 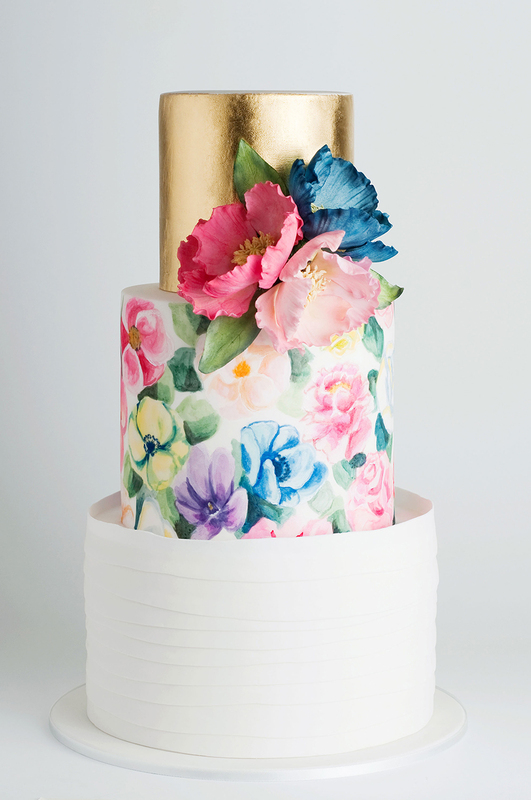 Perfect for a summer wedding, the bright and blousy painted blooms on this cake pop against a metallic gold tier. Planning a bohemian big day? 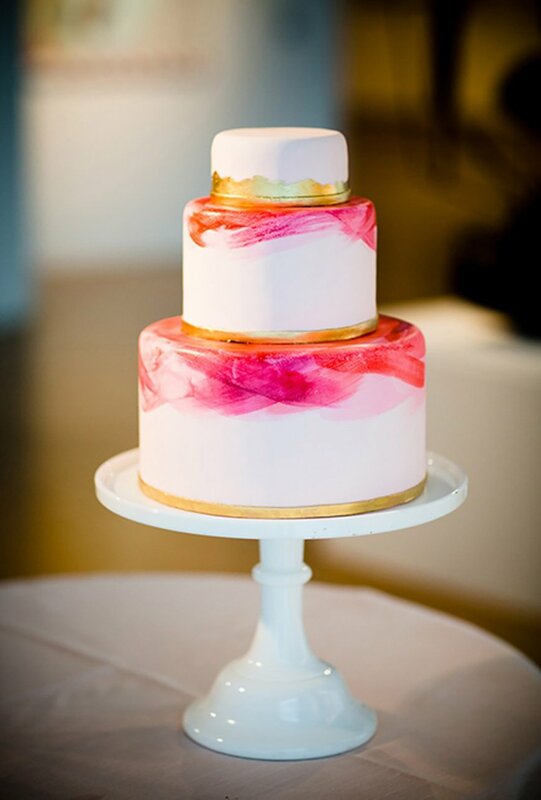 You'll love laid-back, chunky brushes of colour to decorate hand-painted wedding cakes. Perfectly imperfect, we think! 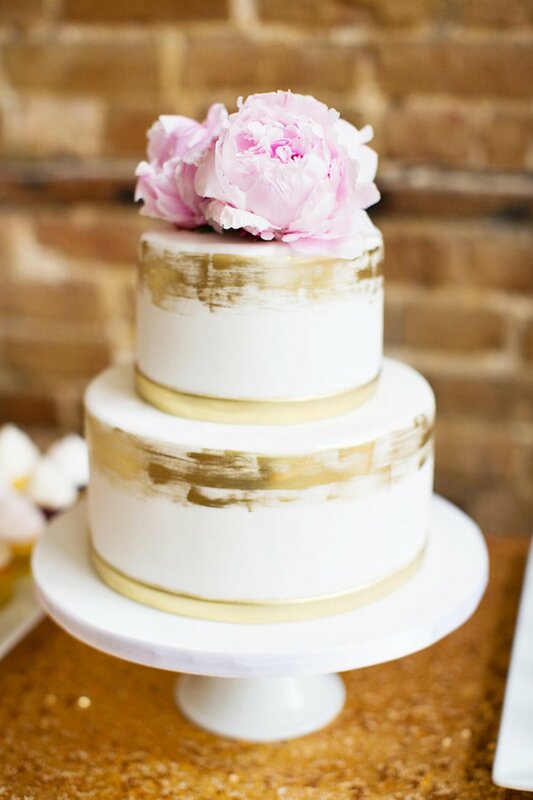 Painted wedding cakes don't get prettier than this for a rustic wedding. 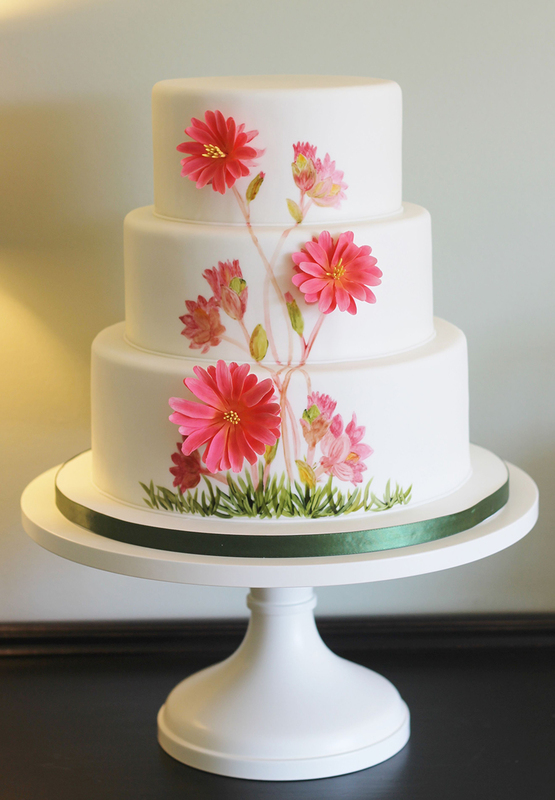 The ditsy design of meadow flowers creates a relaxed and romantic style for this cake. 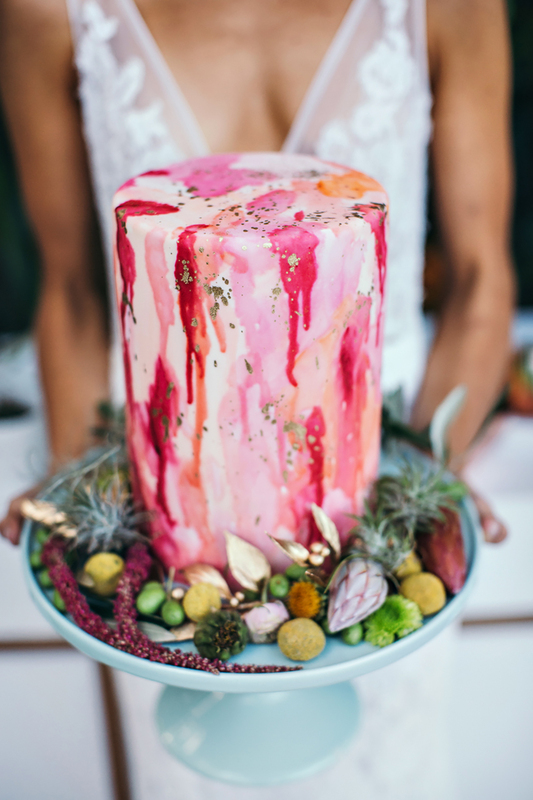 Watercolour wedding cakes are oh-so dreamy. 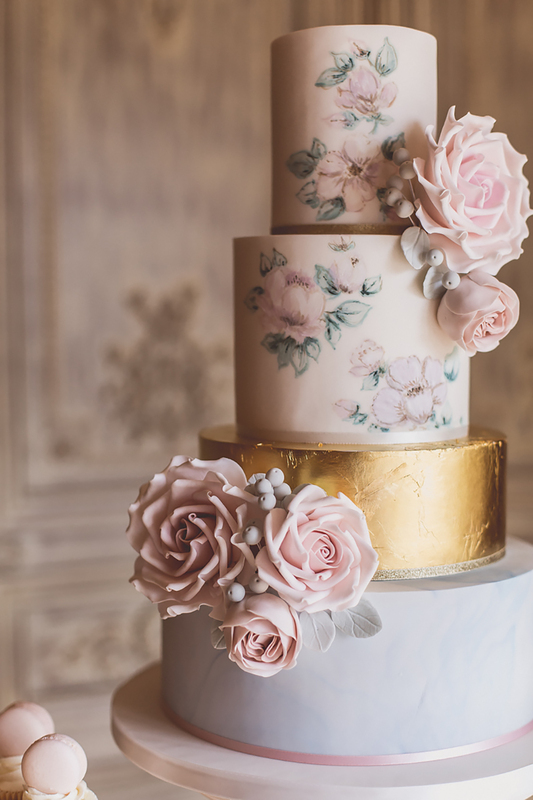 And when teamed with delicate ruffles and a painted sugar flower, we can't get enough of them. 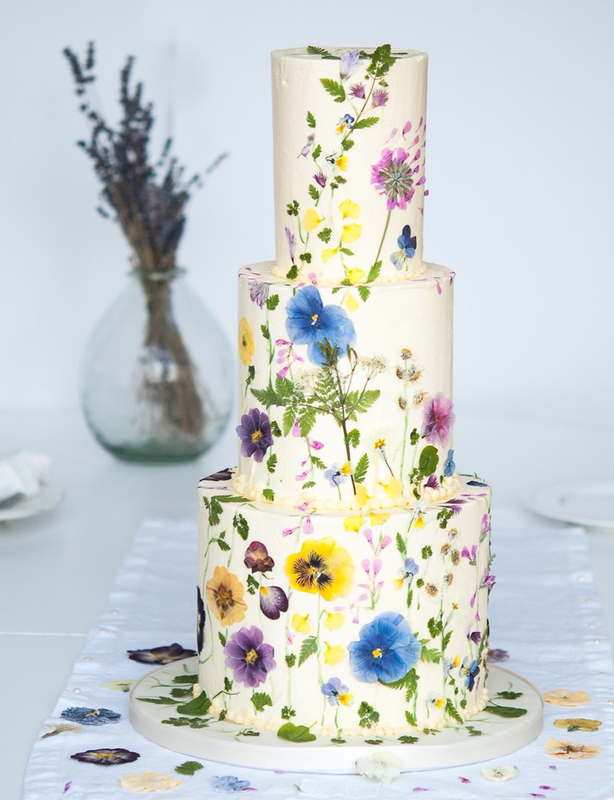 This hand-painted wedding cake is as whimsical as it gets - a must for any country wedding. 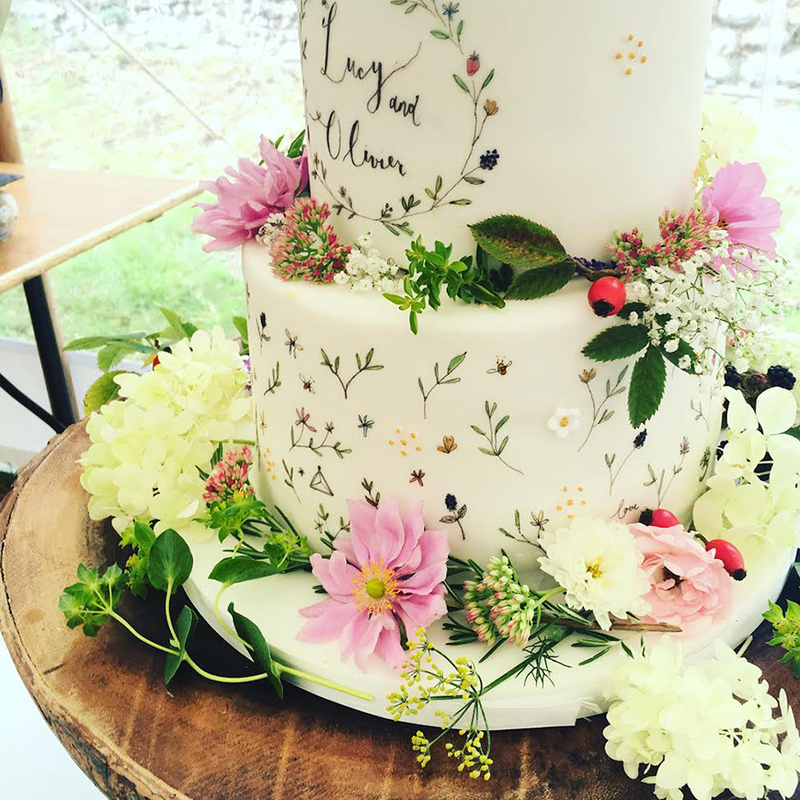 Rustic weddings will suit painted wedding cakes with an understated, rural theme perfectly. 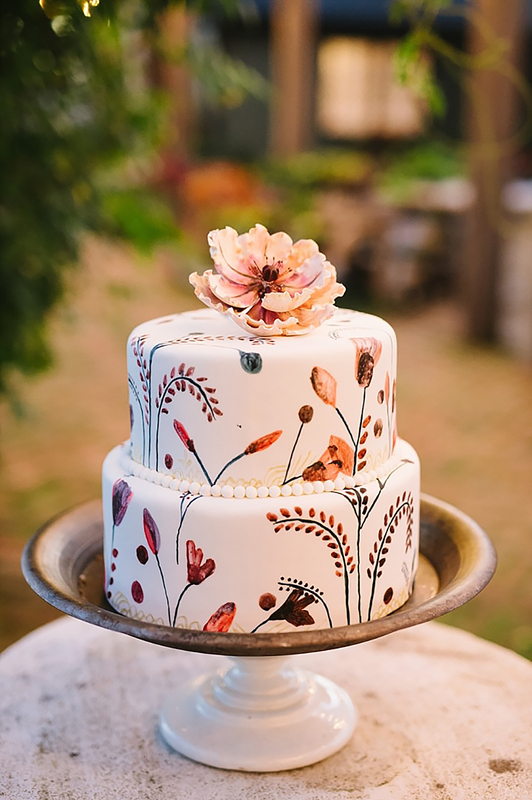 The warm, sunset tones make this design perfect for an autumn wedding, too. Furthermore, you could also play with texture. 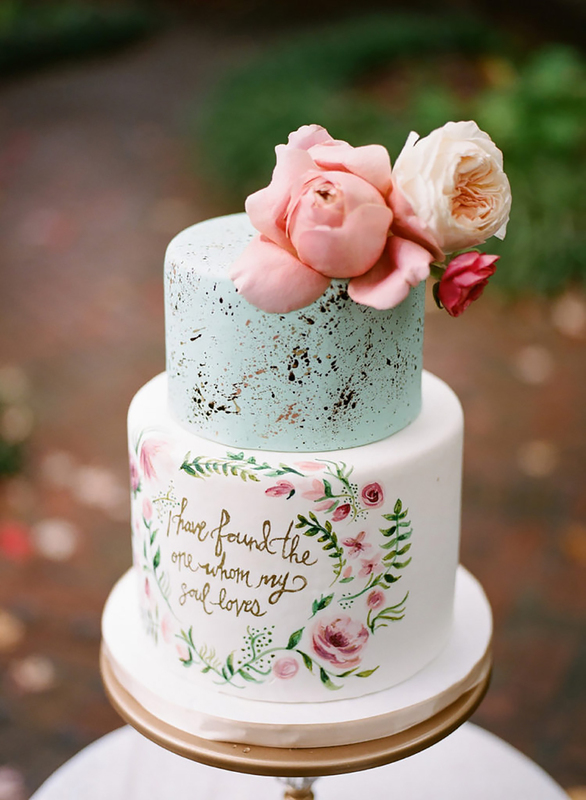 For example, you could pair painted foliage with three-dimensional sugar blooms. 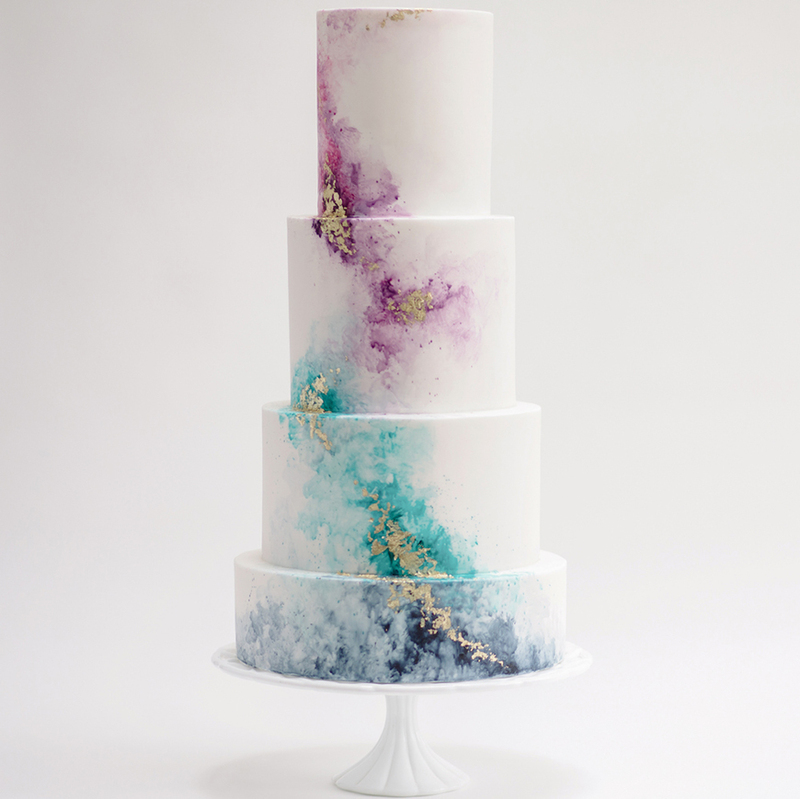 For total opulence, how about painted wedding cakes with a nod to the geode trend? Softly painted decoration gives the crystal effect a gentler, more romantic look. If you're tying the knot with a contemporary country house celebration, you'll love wedding cake ideas as luxe as this. Likewise, choosing decorations painted in glossy, metallic colours will instantly make them pop from the smooth sides of the cake. Because each tier requires a lot of decoration, a cake like this will cost you more. 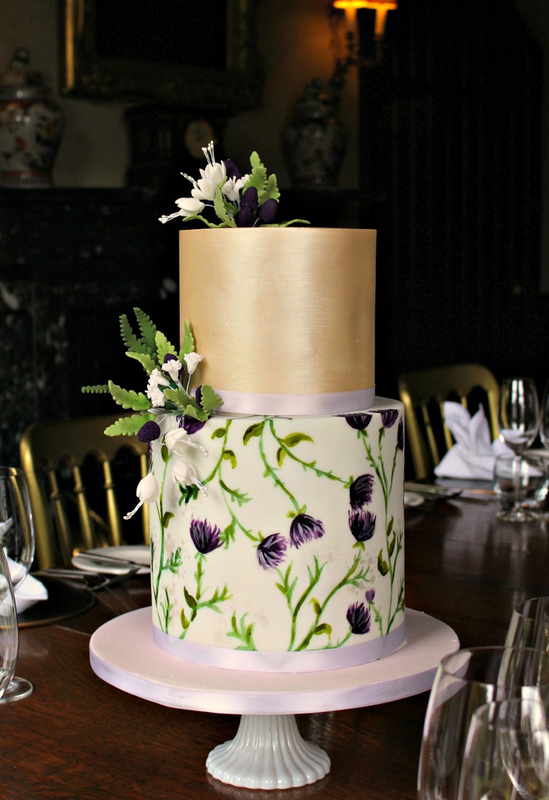 But the incredible effect of watercolour wedding cakes combined with a whimsical pattern is unforgettable. 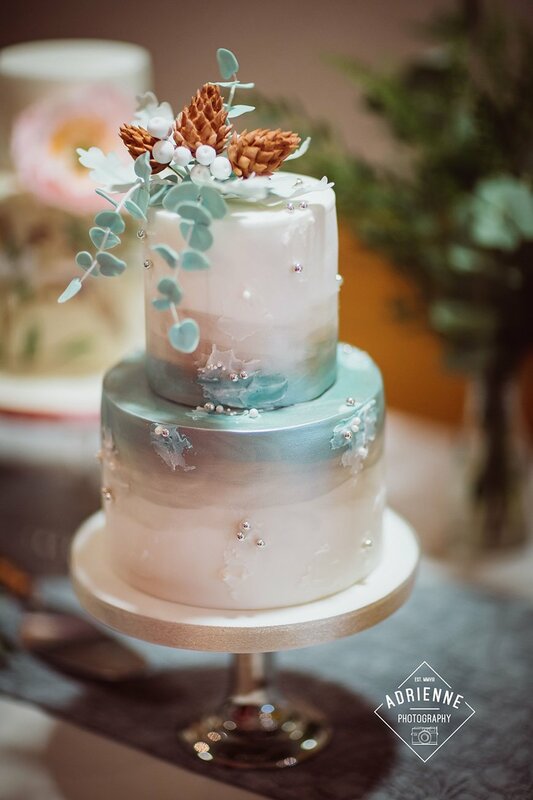 Watercolour wedding cakes can have a minimalistic vibe too! This stylish cake proves that less really can be more. 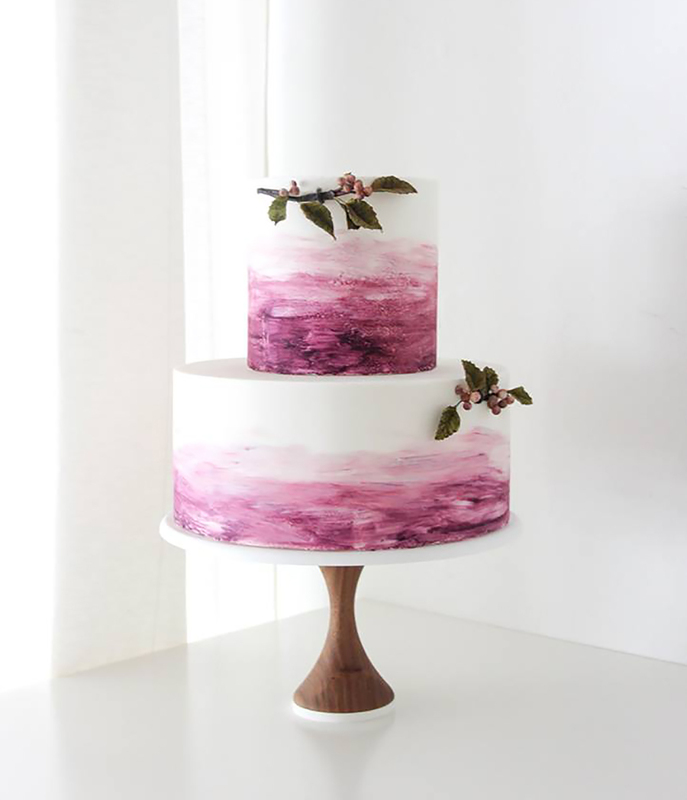 Another twist on watercolour designs, why not choose a bold berry tone to contrast the pure white icing? Simple, yet stunning. 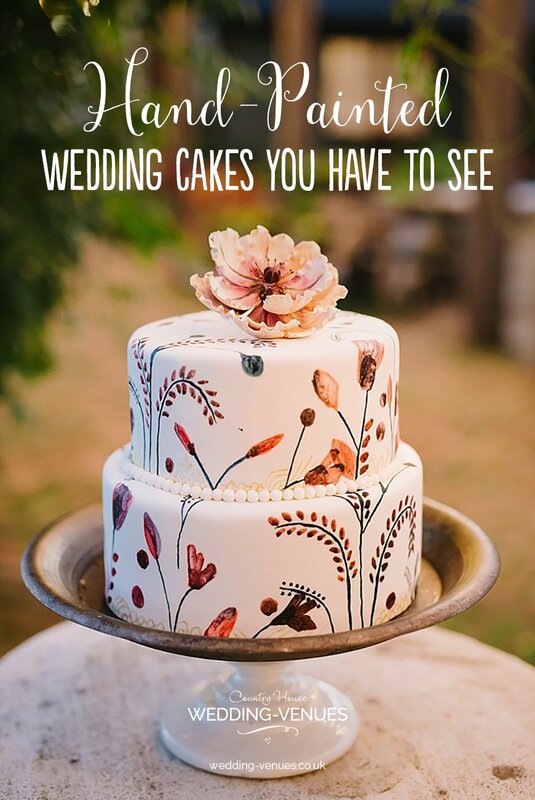 Now you've got a flavour for these picturesque hand-painted wedding cakes, take a look at these 18 hanging cakes. They're guaranteed to give your wedding cake ideas the wow factor!